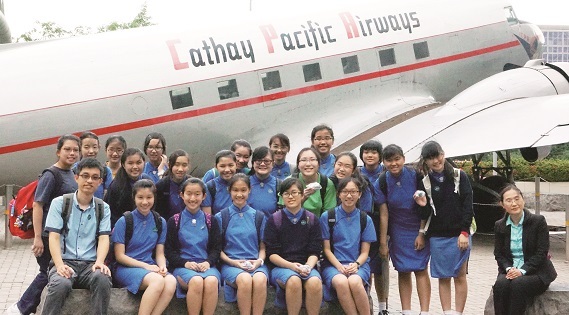 In an effort to foster students’ interest in science and nature, three clubs and three school teams have much to offer. 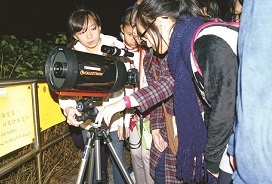 These include the Senior Science Club, the Astronomy Society, the Gardening Club, the Mathematics Team, the Physics Team and the Computer Programming Team. All are committed to exploring our students’ potential and showing how science can be blended into everyday life. (悅書林) and Quintessence (綴文樂). A loyal team of SAC Assistants share the many tasks of the SAC. 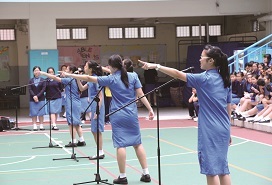 Film AppreciAction, an exclusive SAC activity, draws on Ying Wa girls’ interest in film viewing and challenges them to take further “actions”. By completing film quizzes and writing film reviews, participants are encouraged to analyze the messages of films and do more reflections. 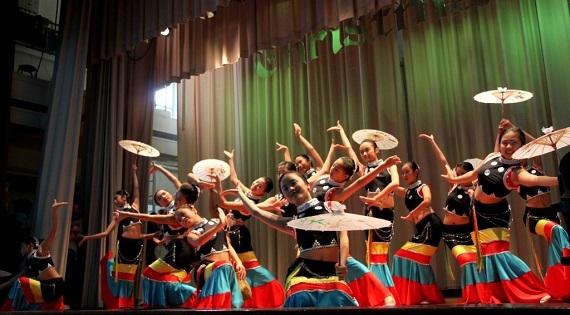 Ying Wa Good Show is designed exclusively for Ying Wa girls to display their talents and perform under the spotlight. 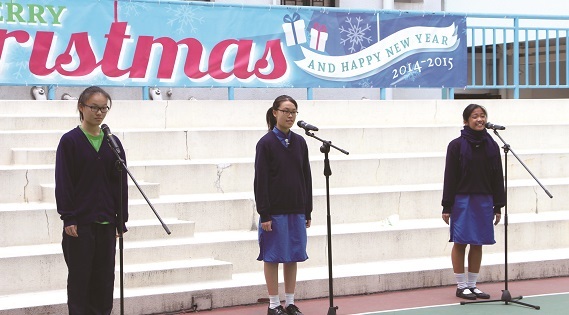 It takes place during lunchtime, usually in the playground where those on upper floors can enjoy a bird’s eye view, a unique feature of our Sham Shui Po campus. 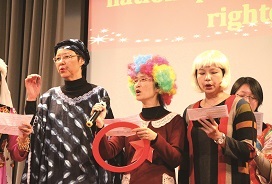 Members of different groups and teams perform dances, sing, speak verses and stage mini plays, including the proud productions of Relay Writing competition winners. Their performances have never let anyone down. Certainly Ying Wa Good Show offers afternoon delights on the campus. Performers can also hone their skills and gain confidence from the cheers of enthusiastic onlookers. 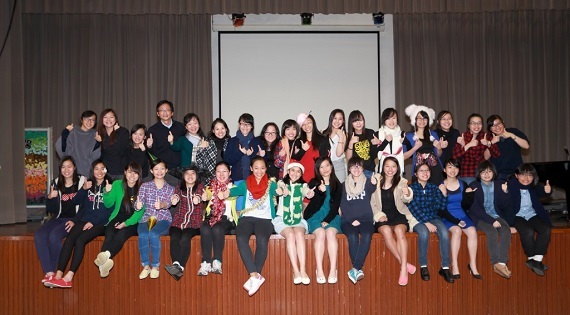 The Extra-curricular Activities (ECA) Committee works on broadening students' horizons. 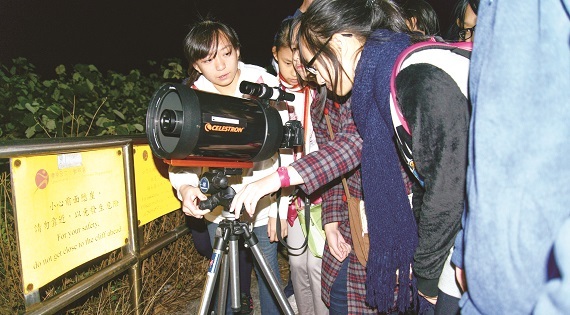 Every year, a wide array of end-of-term activities are tailor-made to stretch students’ untapped potential or interest. Recreational courses on baking, coffee brewing, aerial photography, bamboo crafting, fitness classes on archery, trampoline, rock climbing, war games, and foreign language workshops are made available to students. 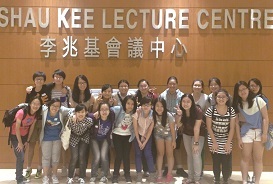 Cultural visits and camps are also organized during this post-exam period. All these programmes are enjoyable, educational and uplifting. Students may enrol on a course individually or as a group of two to four from different classes or forms. 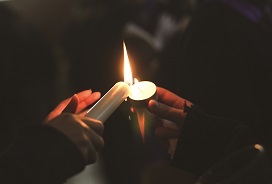 All who complete the sessions satisfactorily receive a subsidy from the Alumnae Association Charity Trust Fund. Every year, graduating classes share bittersweet memories of their school life and bid farewell to their alma mater during the Farewell Assembly. Through videos, songs and loving words, the girls express their heartfelt gratitude towards teachers and schoolmates for their support. 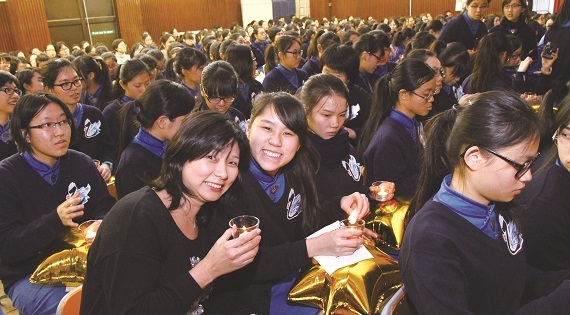 In the 2014-15 event, after the Principal lighted the graduates’ candles, they passed on the light to S1 representatives, symbolising the continuity of the Ying Wa spirit. At last, all sang the hymn “Pass It On” as the graduates left the Hall, amid blessings of their schoolmates. 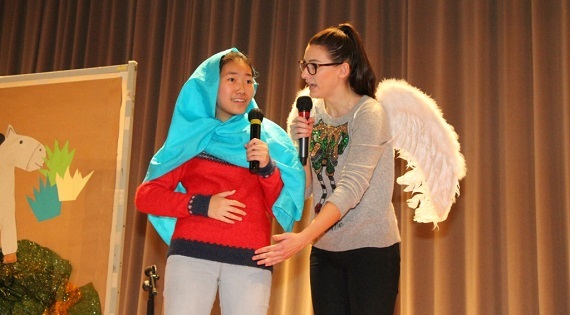 The Christmas variety show must be the highlight of the first term. 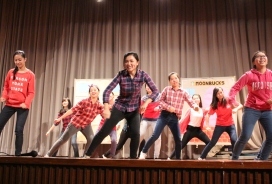 The Student Association worked closely with the Interhouse Committee, the Dance Team, teachers and other groups to stage the show. 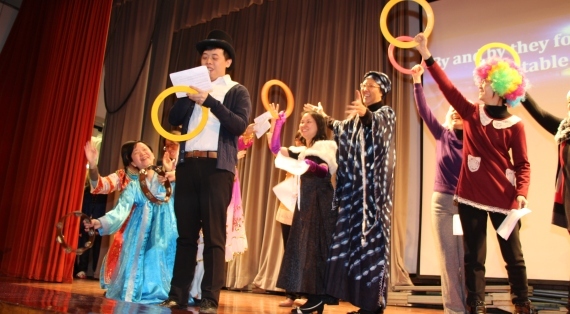 Studentleaders performed an interesting play Alien, followed by many other enjoyable programmes YWC X YWGS Annual Christmas Ball 2014 “Reverie” like a Chinese dance and the ever-popular lucky draw. 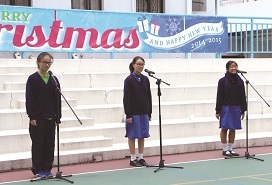 The long-awaited performance by our teachers brought the show to a frenzied height. 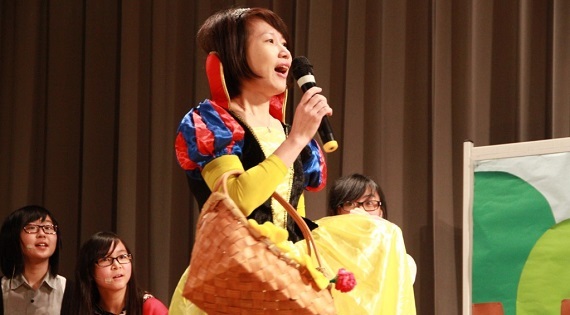 Teachers and our Principal sported different costumes and sang hymns. Everyone erupted in joyous shouts. This end-of-term activity blends in elements of fun fairs and carnivals, and has always brought laughter and joy to students. 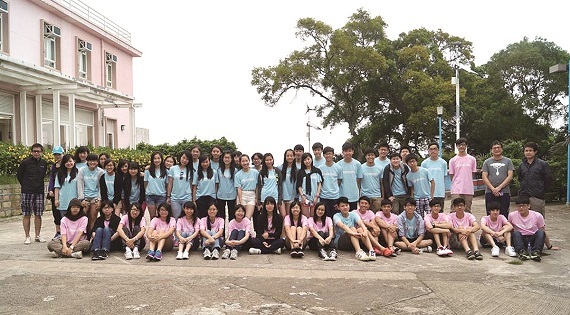 On the sunny morning of 2 July 2015, students gathered in the playground, waiting excitedly for the grand opening ceremony of the Students’ Day. 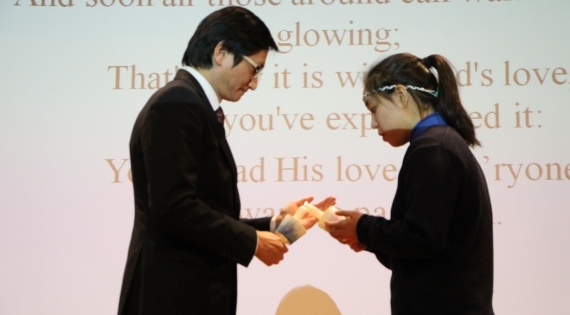 Named “Confetti”, this year’s Students’ Day was a special occasion of joy and celebration for the 115th anniversary. After the opening ceremony, there came the most anticipated programmes – food sampling, gaming, exploring Halloween-style haunted houses and so on. Students could try their luck at the Fun Lounge game stalls, shop till they drop in the Bargain Zone and try homemade snacks at the food stalls. 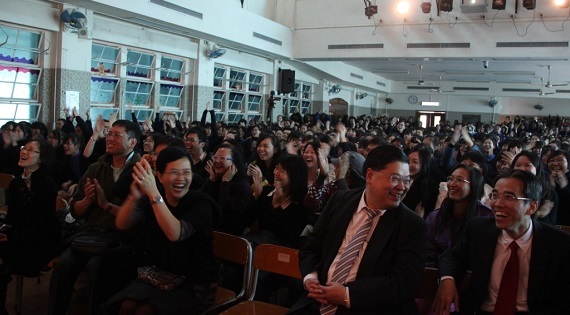 The fun day reached a climax as teachers sang and performed, as students waved glow sticks and yelled down the stage. A cake-cutting ceremony drew the curtain on this special day.